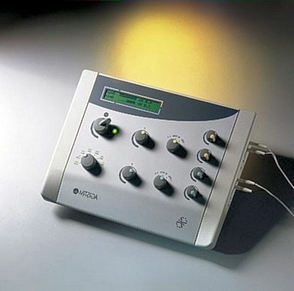 Electro-Acupuncture is a treatment used to enhance the effects of regular Acupuncture for certain types of conditions. It normally provides extra intensity and stimulation for the needles. Some of the needles in use may be hooked up to the machine which then passes a small current through them. When it is properly used it is not painful at all; on the contrary it usually produces relaxing vibrations through the needles. Many of my clients have found it to be a soothing experience in their treatments.